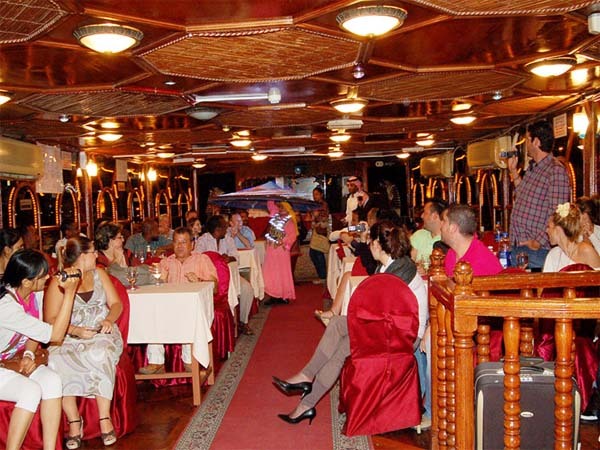 A dinner cruise along Dubai Creek is one of Dubai’s must-dos, and a relaxing break from the city’s high-octane attractions. 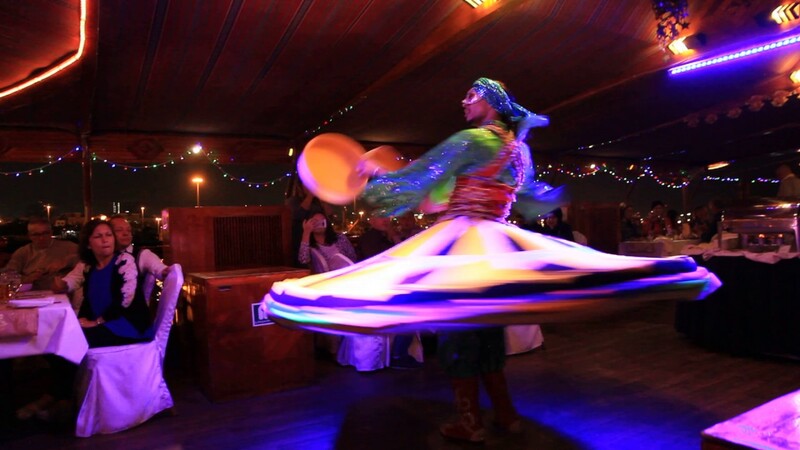 This 3-hour evening cruise does it in style, on a prettily lit wooden Arabian dhow boat with a whirling dervish 'tanoura' show as you dine. 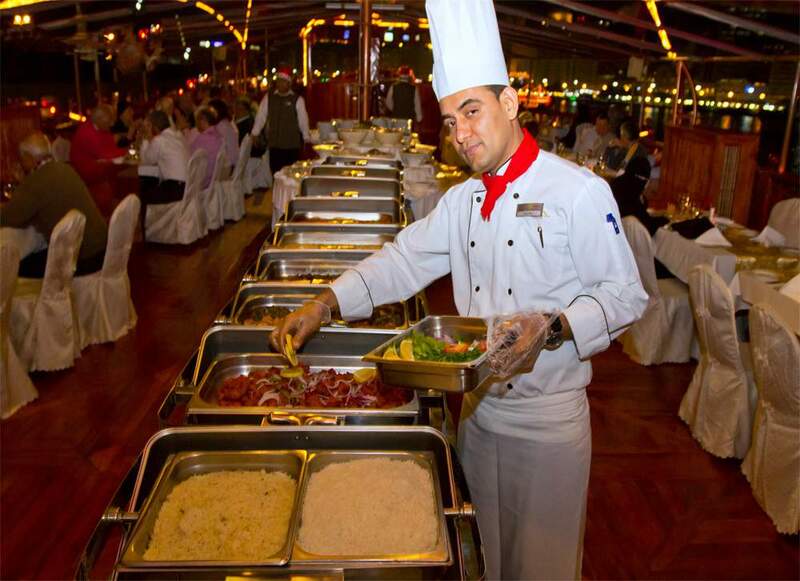 Admire the lights of Deira and Bur Dubai as you sail, and enjoy an international buffet dinner with unlimited soft drinks and water. 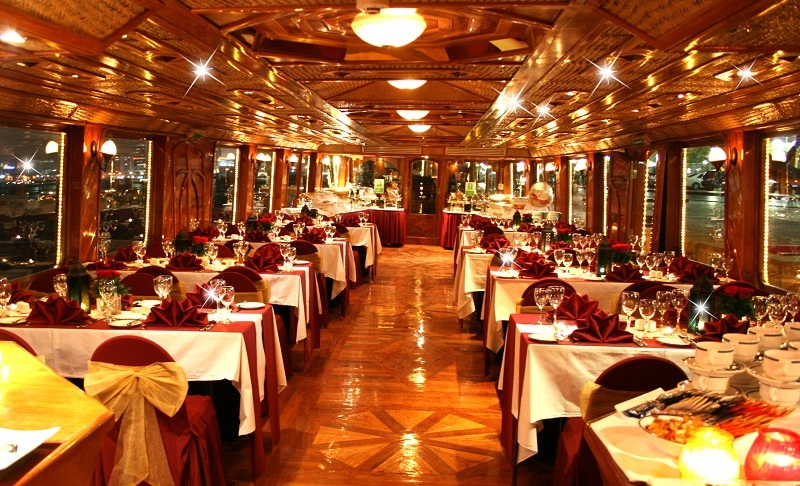 welcomed by the crew as you step aboard and take in the sights from the open-air, upper deck. 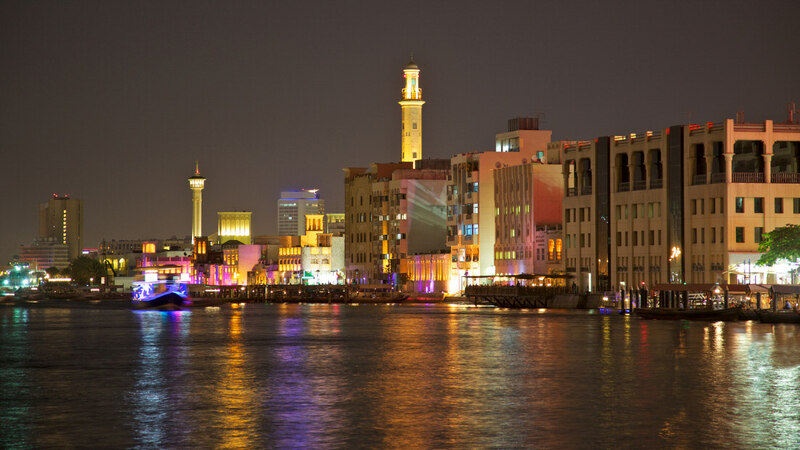 Enjoy the pleasant breezes as you sail on the creek, and admire the views of Deira’s and Bur Dubai’s illuminated skyline. Glide by the glittering lights of the Gold Souk, and have your camera ready as you pass floodlit bridges, mosques, and other monuments. 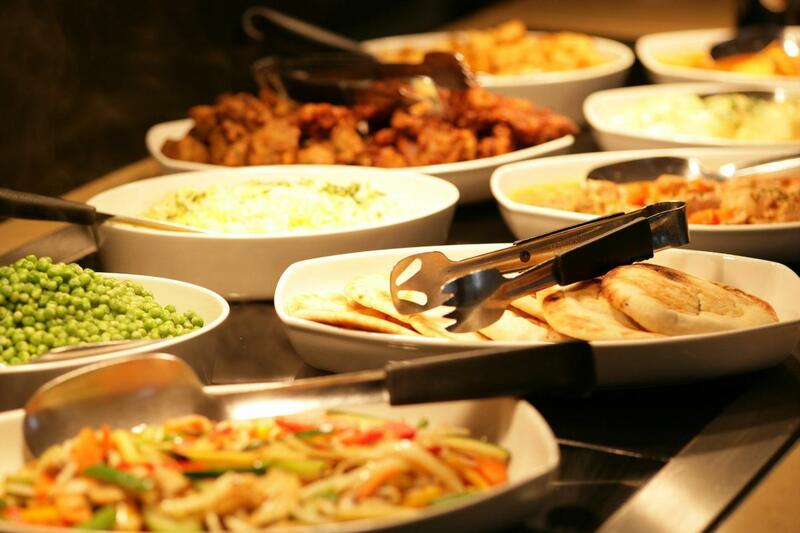 Then, enjoy a delicious buffet dinner as you soak in the magical atmosphere and setting. 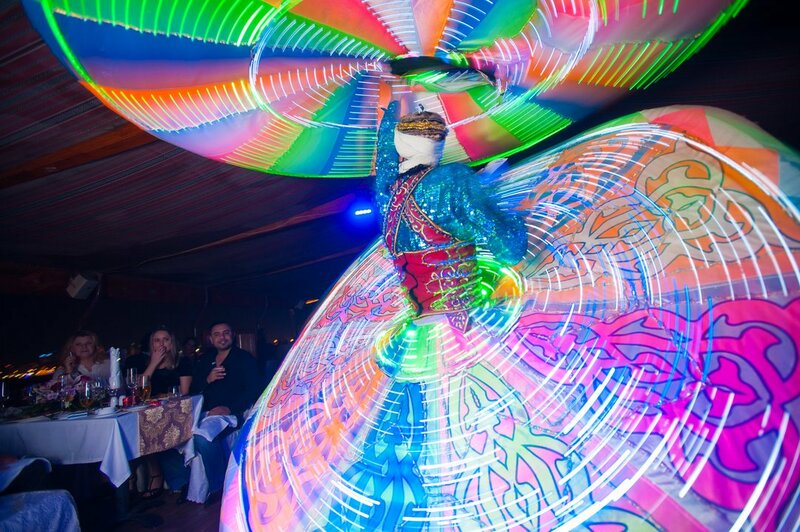 Savor a selection of Arabic and international dishes with unlimited soft drinks and water, As you dine and relax, enjoy live entertainment in the shape of a fast-moving, traditional tanoura show, with whirling dervish style dancers spinning across the floor in multi-colored costumes. After docking back at the pier, bringing your experience to an end.